Fortunately, when you’re on a Bangkok sightseeing tour, you don’t need to remember that, and on flight tickets “BKK” is usually enough to bring you to the right destination. This name was given by King Rama I in 1782, you can see him in the picture below. Although when he first named the city, the name was a bit shorter – “just” 43 syllables – another 21 syllables have been added later in history. 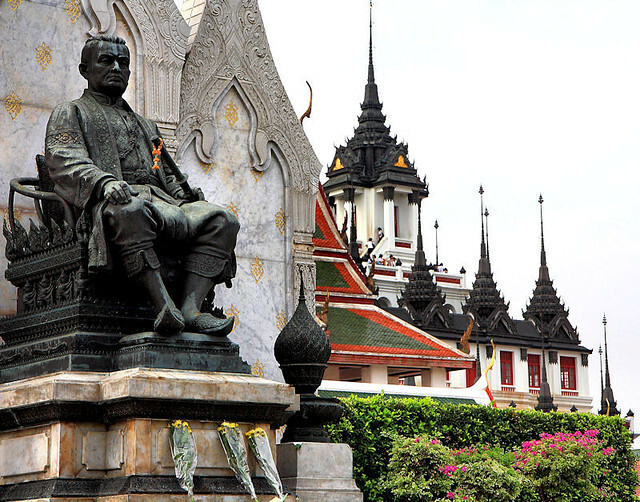 He was the founding father of the current dynasty, also known as the Chakri dynasty. The currently reigning monarch is Rama IX, and he is the longest-reigning living monarch on earth – for more than 60 years he is the King of Thailand already, and is deeply loved by the people of this country.